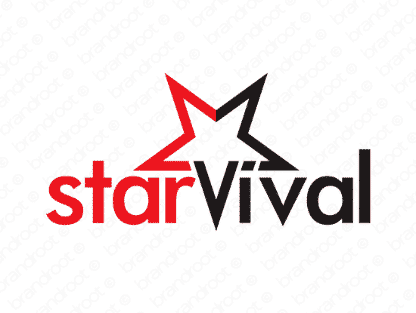 Brand starvival is for sale on Brandroot.com! A galactic name that combines star and survival, making it ideal for anything from technology to solar power. Could also be applied to the science fiction and fantasy genres. You will have full ownership and rights to Starvival.com. One of our professional Brandroot representatives will contact you and walk you through the entire transfer process.